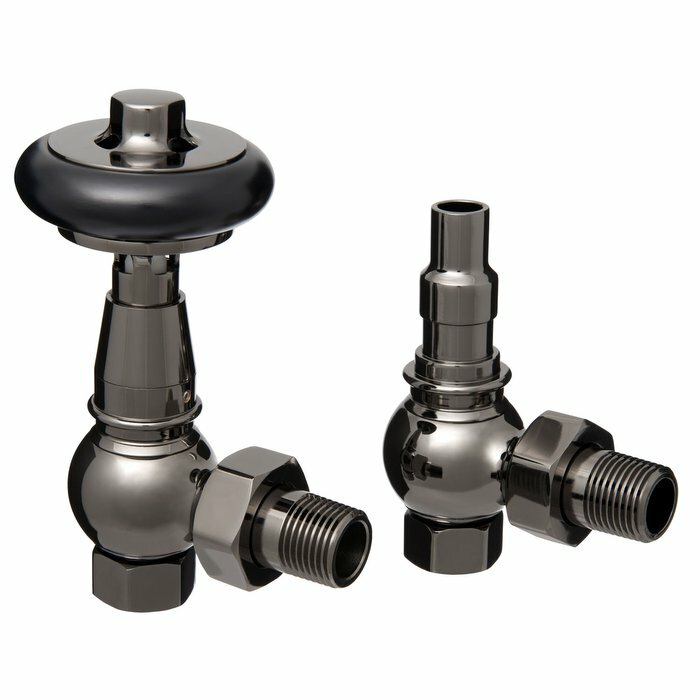 Our very own Warwick TRV (thermostatic) radiator valve set in the Black Nickel finish (1/2" - 15mm BSP Fitting). 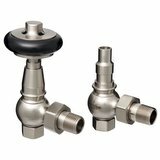 These are heavier and slightly larger than the Bentley Traditonal TRV valves we offer and come with a wonderful black solid wood wheel head. The popular Black Nickel finish means they are suited to period properties, but also can also add a traditional feel to contemporary homes. It is recommended that the TRV is fitted to the flow side unless fitted with a auto system bypass valve. Available in Antique Brass, Black Nickel and Satin Nickel finishes. Please also see 'Related Products' section below and the 'Accessories' tab at the top of the page. These are so beautiful, even the plumber couldn’t stop raving about them. Honestly like beautiful jewellery for your radiators! bought these rather than the slightly cheaper ones on the recommendation of one of the telephone advisers. He had a rad the same colour as mine, and had chosen these valves. They are very nice quality with traditional styling. My only reason for not giving them 5 stars is that I would have preferred them to be slightly less shiny, as they would then blend better with the metallic painted rad. 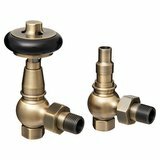 We're pleased you would like to review Warwick Black Nickel Thermostatic Radiator Valve Set.